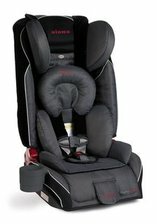 Pros It is clear that Britax designed this car seat with almost every safety features imaginable. Its EZ Buckle system makes installation simple and quick. Cons Only comes with a clip-on cup holder and not a built-in one. Summary Our top choice. It is the most dependable and by far the safest car seat on our shortlist. 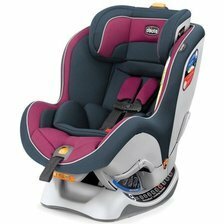 You would be hard pressed to find another car seat that offers more reliable safety features. Pros Constructed out of a steel frame and aluminum sidewalls. Filled with EPS absorbing foam for added protection. Cons The padding can be ripped off by some more aggressive children. Summary Its construction is safe and sturdy, but the Britax tops if in terms of overall safety and reliability. Pros Packed with safety features, led by a removable infant insert designed for smaller/younger babies. Cons The cup holder doesn't fit a lot of sizes, but this is a minor inconvenience. 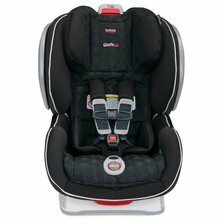 Summary The cup holder issues aside, the Chicco NextFit is a safe convertible car seat that rivals the Britax in terms of reliability. Pros Perfect for smaller cars as it is less bulky. Cons Has been known to wiggle from side to side, but this should not affect its safety. 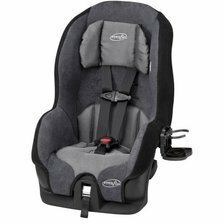 Summary Perfect for those who are on a budget or for the occasional use, but if you are looking for an everyday baby car seat, we recommend the Britax or Graco.